Wake me up when September ends... not! 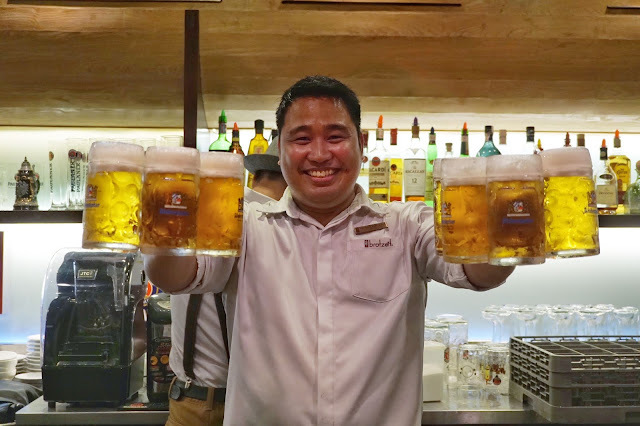 With Oktoberfest happening as early as mid September, several European restaurants are joining the celebration and have some interesting menu and events lined up! 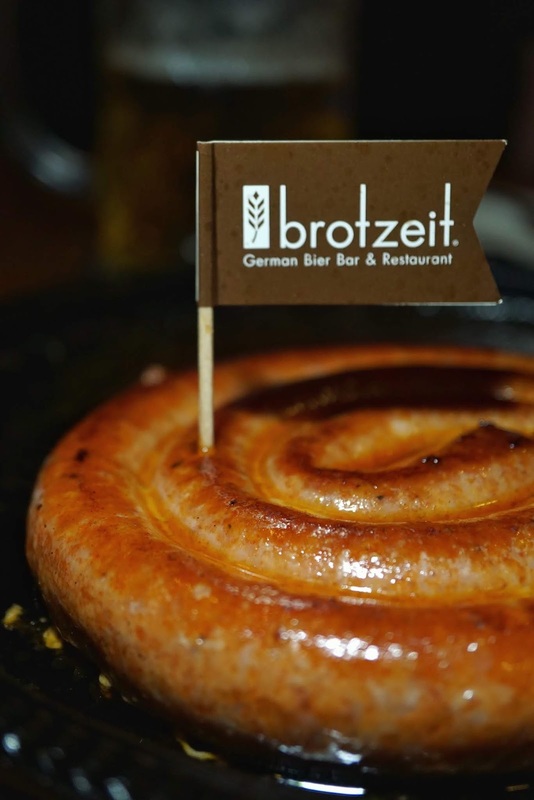 And when it comes to real German vibes, I could only think of one place... Brotzeit! 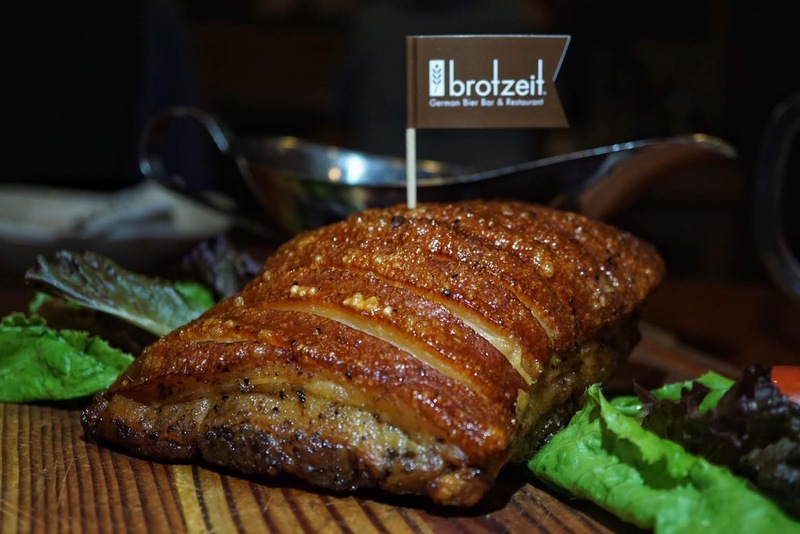 I've been to Brotzeit during the month-long festivities back in 2014 and all I could remember were people laughing and pint after pint of beer! Everything else was blurry and I blame the beer for it. 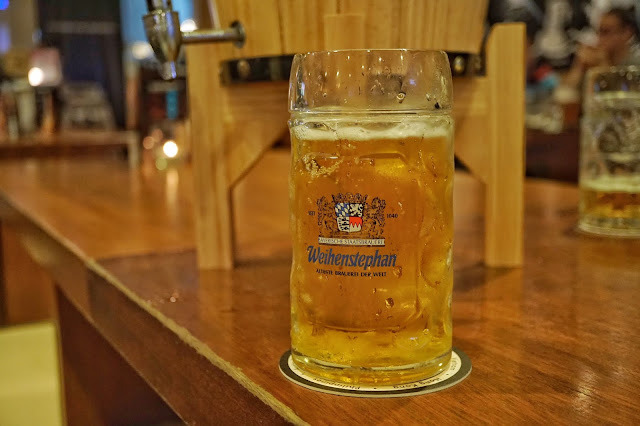 Fast forward to this year's Oktoberfest, I made sure to take note of everything and not go crazy with Brotzeit's great selection of beer. 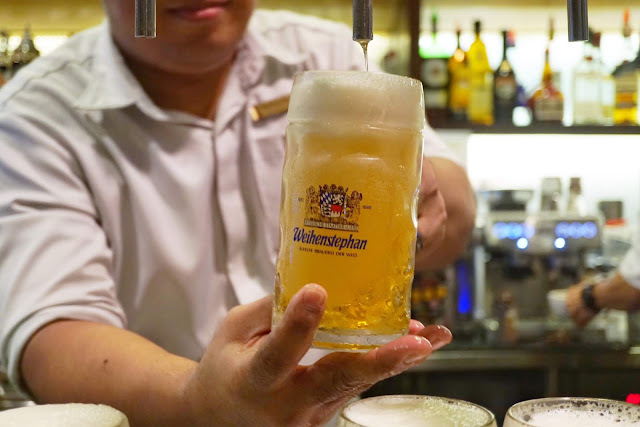 We kick start the night with a table barrel or 3 liters of Weihenstephan Fest Bier (PHP1,750). 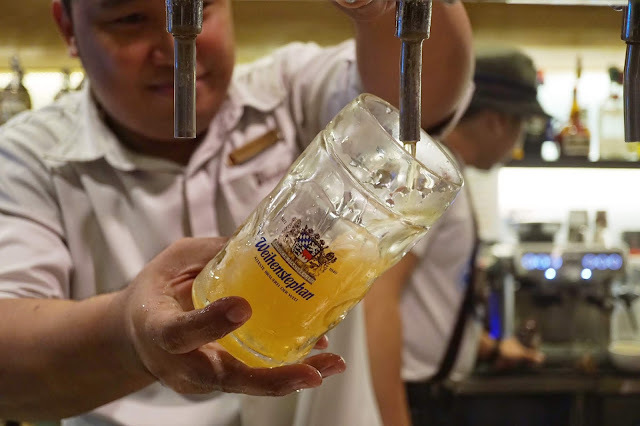 Believe me when I tell you that it was so hard to stop with just two pints of this sweet brew! It's a great drink to have with all the meats we were to indulge in. 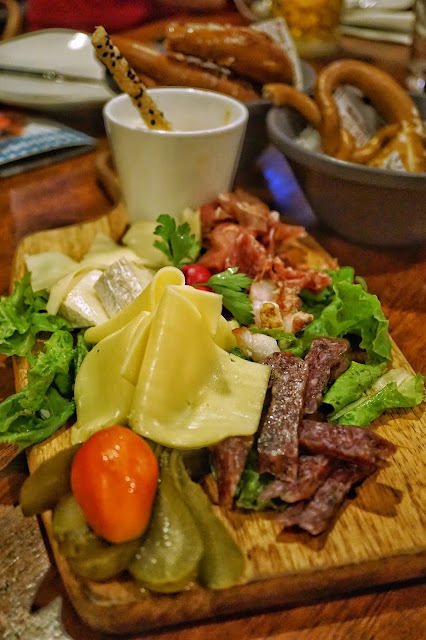 Like this Oktoberfest Gimischteplatte or Mixed Board Platter (PHP850)! Served with assorted cold cuts and cheese with Obatza (Bavarian cheese spread), make sure to have a glass filled with your favorite golden drink as you grab a bite. Just try not to go crazy with the pretzels as there are a lot more great dishes worth trying. Next up was Gebratener Rinderbauch or what we know as Roasted Beef Belly (PHP950). 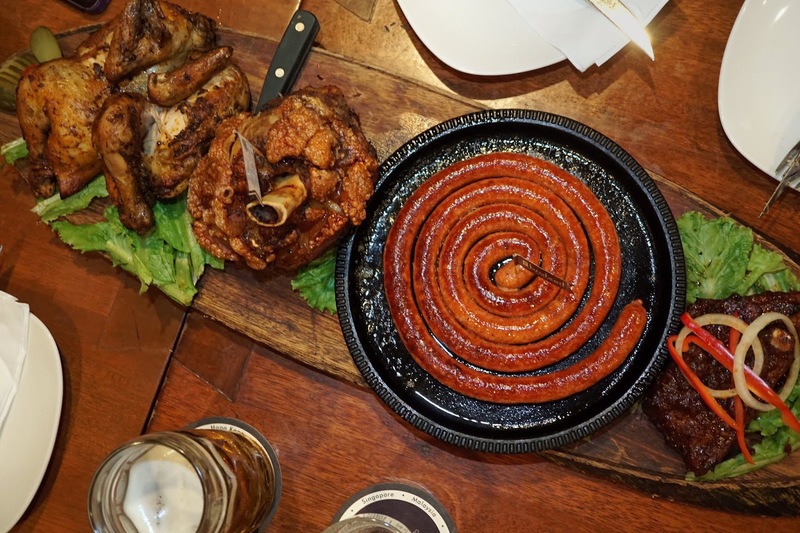 This heavenly dish would make you want to marry the next German you see as this meaty plate is worth your every penny! 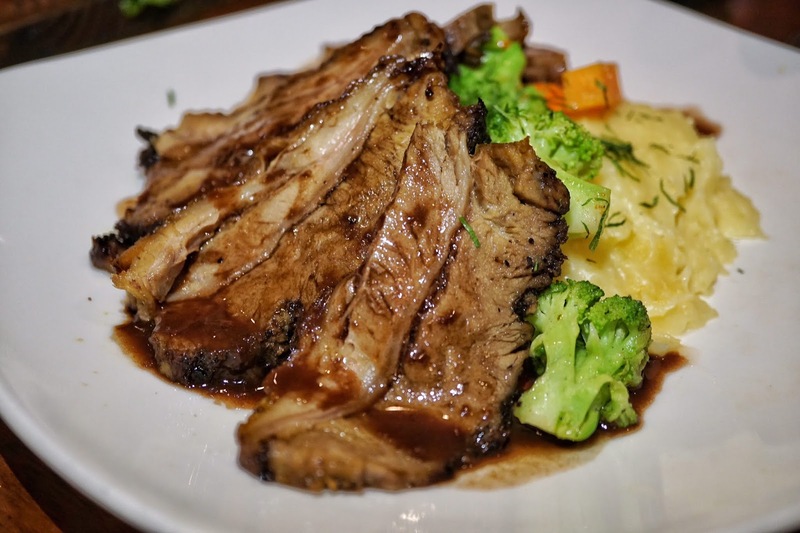 Succulent in every bite, have it with a dash of salt or try it with beer gravy! Have it with mashed potatoes and roasted veggies and you have one hearty dish in one plate. 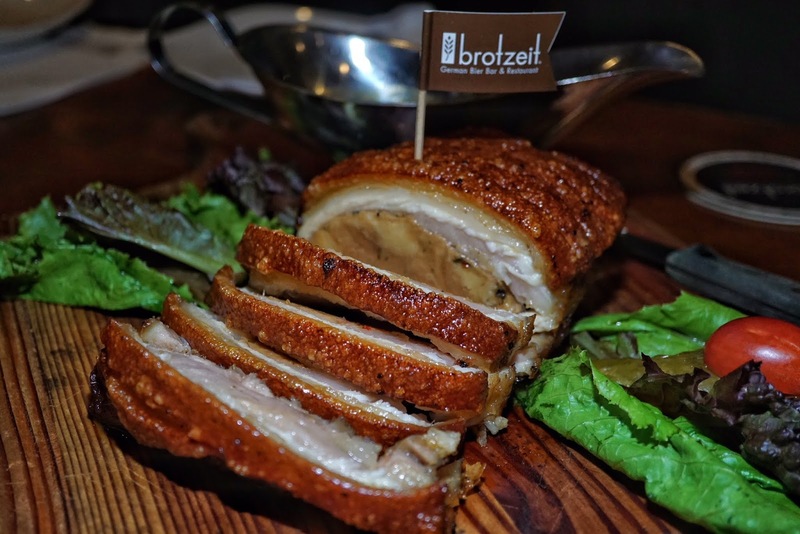 I am a big fan of our local lechon kawali and pork belly but this Gefüllter Schweinebauch Mit Sosse or Stuffed Pork Belly (PHP980, good for 3 pax) is something else. Stuffed with moist bread stuffing, it somehow reminds me of brazo de mercedez but had the texture of a very smooth meatloaf. 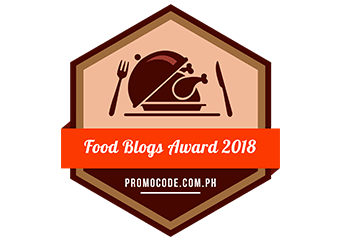 Flavorful on its own, it is more enjoyable with gravy. And make sure to take a bite of the perfectly crispy skin. I fell in love with it! 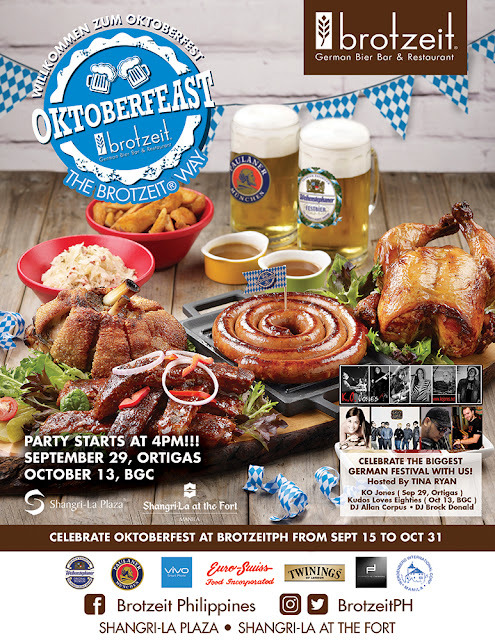 A German feast is not complete without sausages and for Oktoberfest, Brotzeit offers Meter-Wurst or Meter Sausage (PHP920, good for 2). This crowd favorite is a delightful blend of paprika and cheese served with spiced potato wedges, classic sauerkraut and mustard. And if you are celebrating with friends, the Oktoberfestplatte or Oktoberfest Platter (PHP3,500) is a must order item! 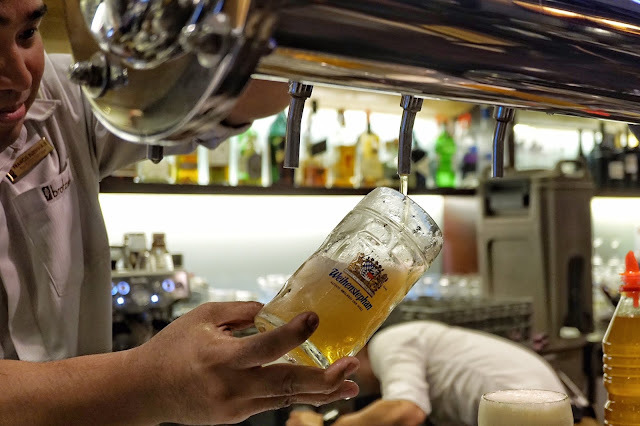 Though it says that it is good for 5 to 6 persons, it might be able to stuff up to 8 persons if you are ordering other dishes or have two to three liters of beer each. 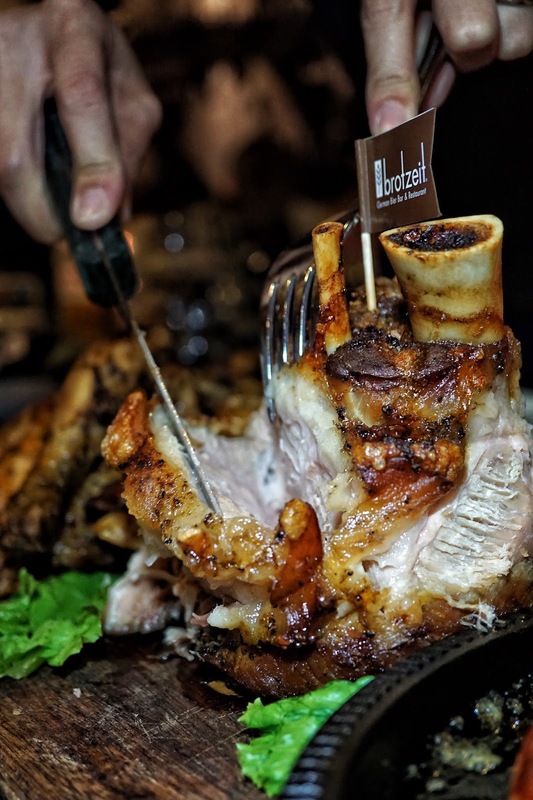 This platter comes with Oven Roasted Pork Knuckle which some of us thought would go well with our local liver sauce or good ol' vinegar. 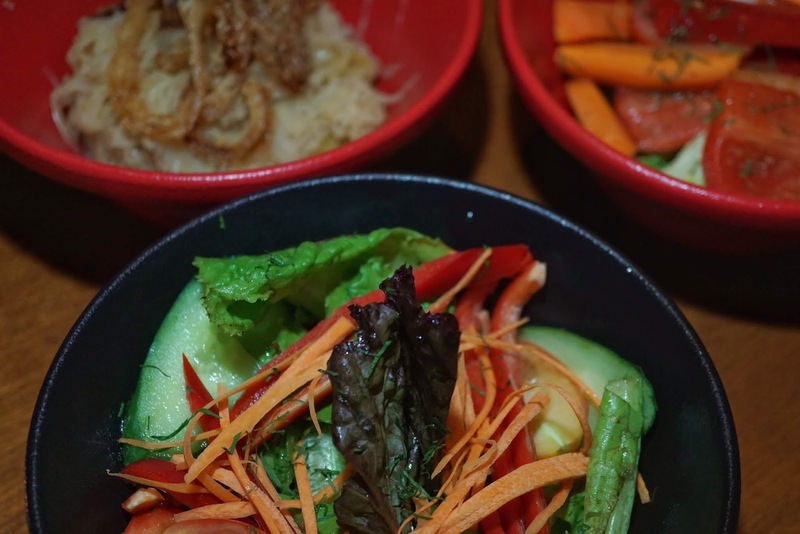 Crispy on the outside and juicy on t‌he inside, there's nothing to hate with this dish. The beer-infused Bavarian Honey Ribs were good too though I prefer it to have more spice to it or that delightful slight zest I get from BBQ. The hefty whole Roasted Chicken was light in flavor so feel free to add some sauce or gravy for extra taste. 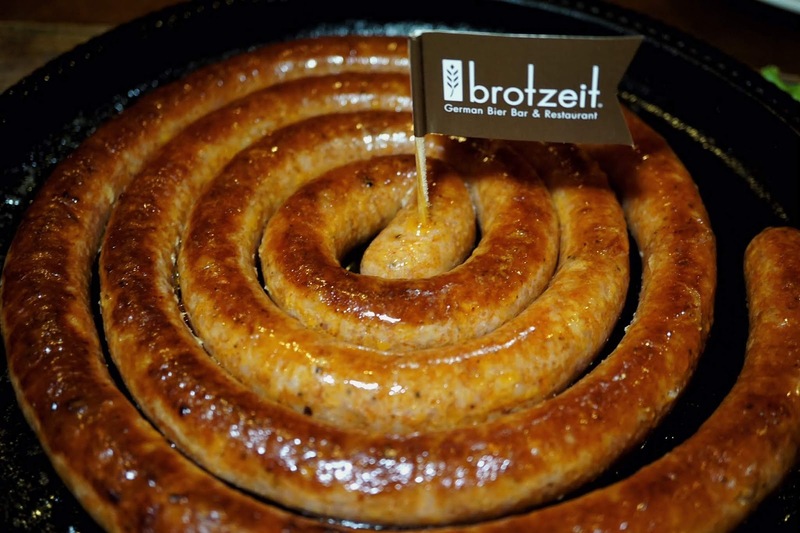 The platter also comes with the yummy meter sausage! 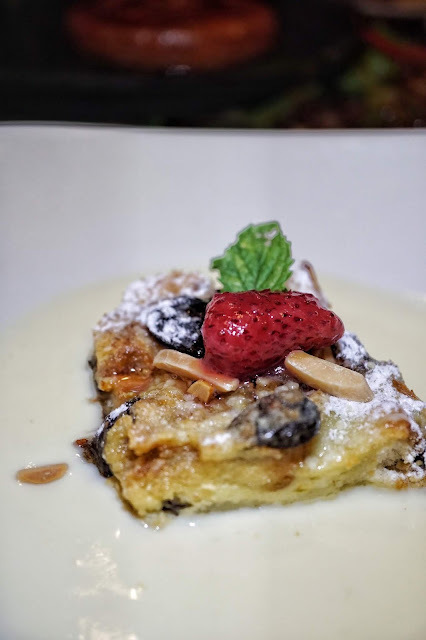 We capped our meal with Scheiterhaufen or German Bread Pudding (PHP190). Made with rum and raisins swimming on a bed of vanilla sauce, it had the right level of sweetness to end our dinner. I wished that there were more strawberry bits on top though for that nice burst of berry flavor to complement the creaminess of the sauce. Overall, it was a fun night with friends over a scrumptious meal. 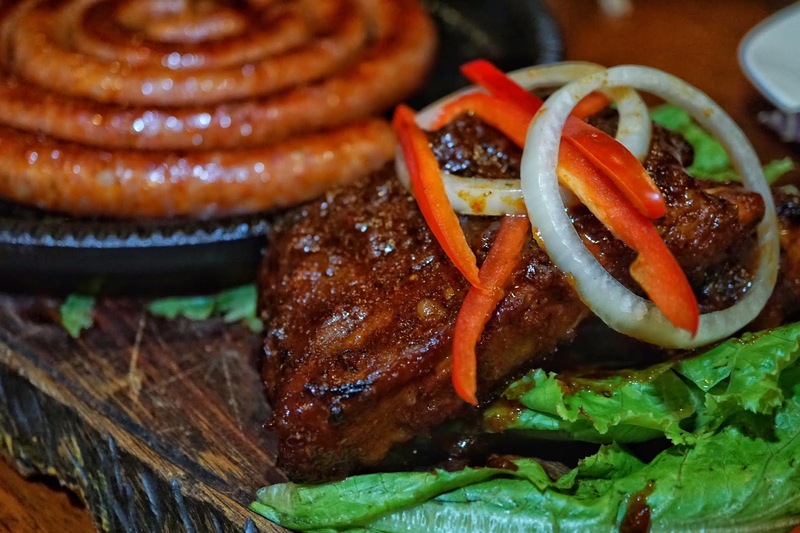 I wouldn't mind going back for more of those crispy pork skin and beef belly! P.S. 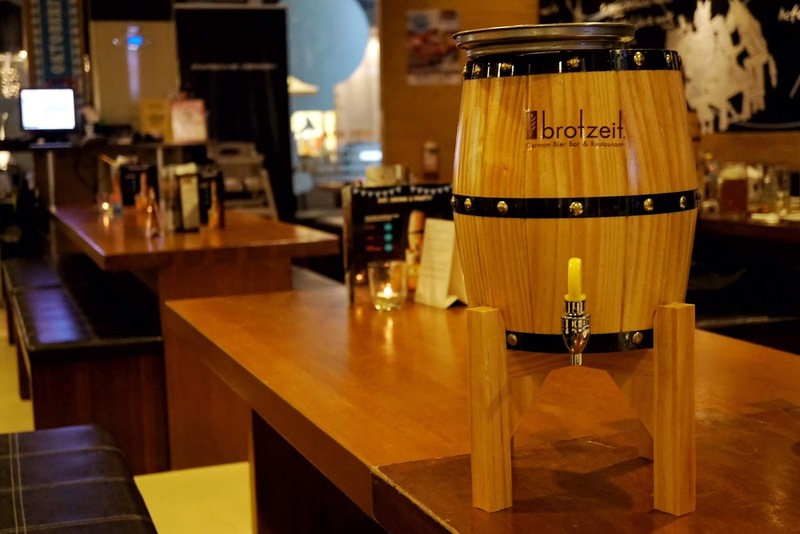 Brotzeit serves the best hot chocolate in Manila! 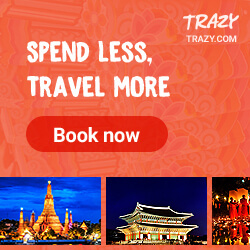 You have to try it!!! 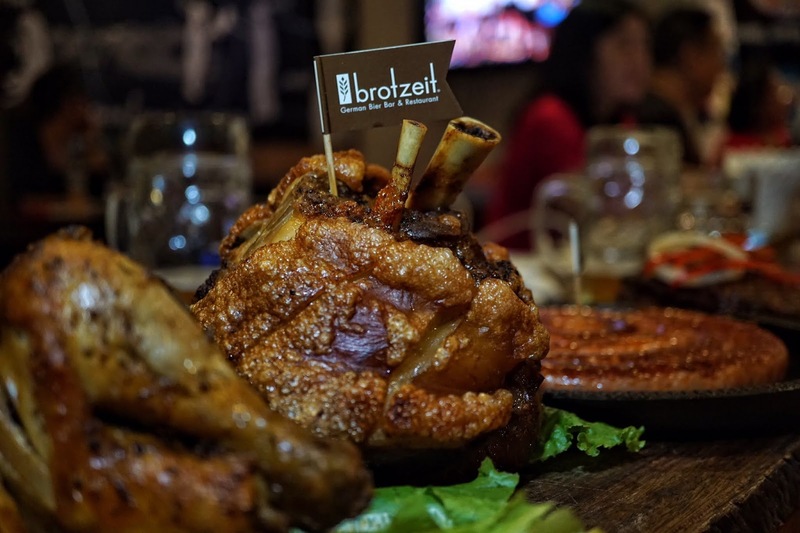 Brotzeit is located at Ground Floor, Shangri-La Plaza Mall, Mandaluyong City. It also has a branch in Shangri-La at the Fort, Bonifacio Global City.